Then Susanna shrieked, and the old men also shouted at her, as one of them ran to open the garden doors. When the people came to her husband Joakim the next day, the two wicked elders also came, fully determined to put Susanna to death. When she was sent for, she came with her parents, children and all her relatives. 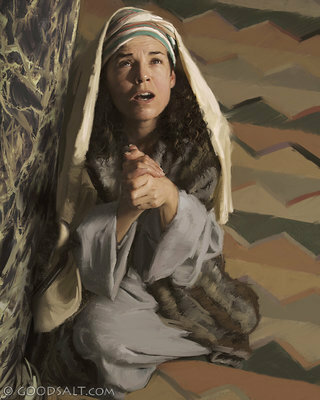 The assembly believed them, since they were elders and judges of the people, and they condemned her to death. He stood in their midst and continued, “Are you such fools, O Israelites! To condemn a woman of Israel without examination and without clear evidence? “Offspring of Canaan, not of Judah,” Daniel said to him, “beauty has seduced you, lust has subverted your conscience. They rose up against the two elders, for by their own words Daniel had convicted them of perjury. According to the law of Moses, they inflicted on them the penalty they had plotted to impose on their neighbor: they put them to death. Thus was innocent blood spared that day.” -Daniel 13:1-9.15-17.19-30.33-62. He spoke these words while teaching in the treasury in the temple area. But no one arrested him, because his hour had not yet come.” -John 8:12-20. In the sixteenth century when the Faith, especially in Germany, was so mightily shaken by the so-called reformers, when the Sign of the Cross was abolished as a superstitious practice, almighty God permitted this very Sign of the Cross to shine with special power and radiance, in order to strengthen the Faith in another country. This was Spain, and it was through the great miracle worker of the sixteenth century, St Salvatore of Horta. Saint Salvatore of Horta was born of poor parents in the year 1520. Orphaned when still quite young, he tended cattle and was later sent as an apprentice to a shoemaker in Barcelona. His devout heart, however, was constantly prompting him to consecrate himself to God; so, when he was twenty years old, he entered the Franciscan Order as a lay brother. He distinguished himself among his brethren by rigorous mortification, profound humility, and extraordinary simplicity. Saint Salvatore of Horta was sent to assist the brother in the kitchen, and one day, when the cook was ill, Salvatore had to undertake the entire round of duties alone. When it was close to the noon hour, the Father Guardian went to the kitchen to see what Brother Salvator had prepared. He found the kitchen locked. After looking for Salvatore for a considerable time, he finally found him kneeling before the Blessed Sacrament, deeply absorbed in prayer. Saint Salvatore of Horta had been there since early morning without being aware of it. The superior reproved him severely, and Salvatore acknowledged his guilt amid many tears, begging for a severe penance. How astonished, however, were both men when they arrived at the kitchen and found all the food ready to be served; the angels had substituted for Salvatore. After pronouncing his vows, Salvatore was sent to the convent at Tortosa. Although he was assigned in turn to the duties of cook, porter, and quester of alms, he was nevertheless continually recollected and intimately united with God. While gathering alms, Saint Salvatore of Horta often came upon sick people for whom his prayers were requested. He would make the Sign of the Cross over them, and immediately they were healed. News of this fact soon spread abroad and may sick were brought to the convent. All were restored to health through the Sign of the Cross which Brother Salvator made over them. Although the transfer was made in perfect secrecy and no one had been informed of it, the sick presented themselves at the convent at Horta already in the first days after his arrival there, and their number increased daily. The deaf, the blind, the dumb, the lame, the epileptic, came; the paralytic, the dropsical, those afflicted with fevers, and sufferers of every type were brought to him on beds, so that Brother Salvatore might restore their health. Usually there were as many as two thousand a week, sometimes that many in one day, and once, on the feast of the Annunciation of the Blessed Virgin, as many as six thousand made their appearance. One time the grand inquisitor, a renowned theologian, whose duty it was to guard the purity of the Faith, came in order to learn whether anything occurred there that savored of superstition. Without giving any indication of his rank, he took his station at a corner of the church were the sick were expecting the healing hand of Brother Salvatore. When the good religious arrived, Saint Salvatore of Horta had the sick make way for him as he passed through their ranks till he reached the grand inquisitor. There he reverently kissed the latter’s hand, and begged him to come to the upper church, where he could watch the entire proceedings. Astonished at finding himself recognized, the inquisitor was already assured of the power from on high which held sway there. Nevertheless, he followed the brother. Salvatore began, as usual, to admonish the sick to examine their conscience and to receive the sacraments of penance and of the Holy Eucharist worthily. Then he blessed them with the Sign of the Cross while he called upon the Blessed Trinity and imposed on them a few prayers in honor of the Immaculate Conception of the Blessed Virgin Mary, to whose intercession he ascribed all the cures. The sufferers were then all suddenly cured, except, as Salvatore had foretold, those who were not sincere in their conversion. 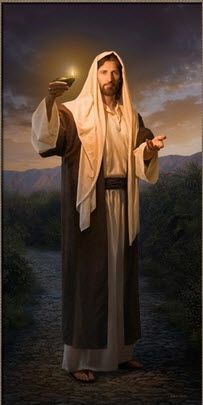 In order to test the humility of the brother and to preserve him in it, his superiors frequently imposed heavy trial, but he always remained an obedient, humble, and contented religious. A prominent gentleman once warned Salvatore that he should be on guard against pride and presumption. St. Salvatore is usually described as “of Horta” because he spent many years in the Franciscan Friary of that place. He was born at Santa Columba in the diocese of Gerona in Spain. He came of a poor family, and lost both his parents while still a child. Migrating to the town, he worked as a shoemaker in Barcelona. At the age of twenty, as his heart was set on the religious life, he became a Franciscan of the Observance. Employed in the kitchen, his virtue quickly matured in these humble surroundings, but he thirsted for greater austerity, and passed on, first to the convent of St. Mary of Jesus at Tortosa, and then to the solitude of St. Mary of the Angels at Horta in the same diocese. In that house of very strict observance, he made a protracted stay but eventually he returned to Barcelona, where his supernatural gifts attracted much notice, and where the blind, lame and deaf came to him to be healed. He always walked barefoot, scourged himself daily, and kept long and rigorous fasts. He was specially devoted to our Lady and to St. Paul who appeared to him on several occasions, notably on his death-bed. St. Salvatore had gone to Sardinia in compliance with the orders of his superiors when he was seized with an illness which proved fatal. The last two years of his life were spent on the island of Sardinia, and there he died in the convent of Cagliari on March 18, 1567. Innumerable miracles occurred also at his grave. The uninterrupted devotion to the saint was confirmed by Pope Clement XI. Saint Salvatore of Horta was canonized by Pope Pius XI in 1938. 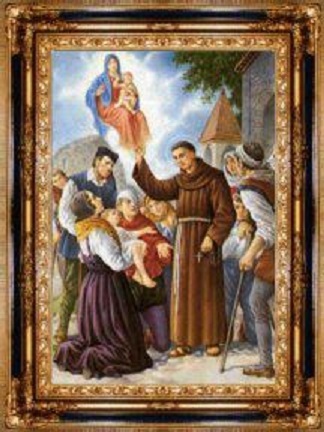 He was venerated as a saint during his lifetime and was eventually canonized in 1938.